Many people think that once they have been outfitted with the proper hearing instrument, that they are pretty much "good to go." They believe that spending a great deal of money on a hearing instrument, and the hearing specialist's expertise, should be enough to improve the quality level of their hearing ability. If only it were that easy. In fact, to really take full advantage of your hearing instrument's capabilities, you need to devote some personal time to proper auditory training. At Master Plan, we offer LACE (Listening and Communication Enhancement), which is an auditory training program to train your brain to hear better in noise. Hearing instruments alone are not enough for you to be successful with hearing better in noisy environments. LACE is a home-based, self-paced listening training program. It’s simple and intuitive, even for computerphobes. LACE helps compensate for hearing loss by strengthening thinking and memory skills and providing communication strategies. 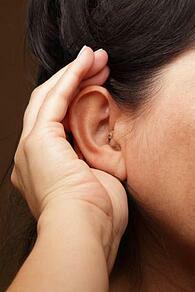 It automatically transmits your results to your hearing care provider for easy tracking of your progress. It teaches you to conquer listening challenges, like noisy restaurants, so you can enjoy daily activities more. You hear with your ears. You can train your brain to listen with LACE. Think of it as physical therapy for your brain.